Four years ago, a group of University at Buffalo researchers submitted a paper to the MIT Sloan Sports Analytics Conference, outlining a mathematical approach by which the NFL could potentially produce a materially fair and largely disparity-free schedule. NFL executives weren’t so sure at first. Creating the annual schedule is a difficult task, and a league spokesman offered a gentle, public rebuke, noting that the researchers focused “only on fairness” while failing to consider a series of unavoidable constraints, including accommodating television partners and working around stadium limitations. 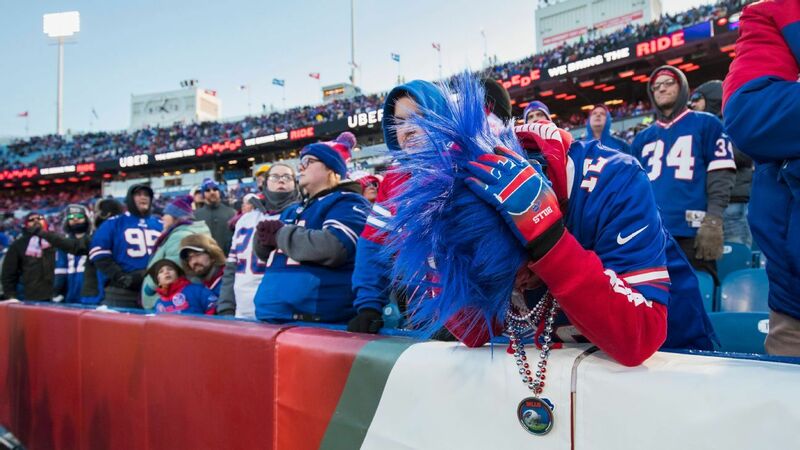 But as the NFL prepares to release its 2019 schedule this week, the league and the Buffalo researchers — led by Mark Karwan, Ph.D., a professor of operations research — are now working together. The NFL agreed to a three-year research grant in November 2018 to provide year-round method development and schedule testing. The league confirmed the agreement but did not comment further. Indeed, Karwan calculates there are more possible NFL schedules (10 to the 300th) in a given year than there are atoms in the universe (10 to the 80th). And, intuitively, most of us realize and accept that the schedule always carries some weird elements, whether it be three consecutive road games or a long stretch without a division matchup. We assuage our concerns with the idea that those disparities even out over time, but Karwan’s initial research showed that was not always the case. The NFL has managed to create a national holiday out of the schedule release, in part because it makes the upcoming season feel imminent but also because of the anger and debate it sparks. And with the full list of constraints in hand, Karwan and his team — including one of his Ph.D. students, Zach Steever — determined it is impossible to eliminate every potential quirk or disparity. But working with a dedicated computer chained to a wall for security, on a secure internet connection in a room that requires a password to enter — “It’s like working for the Department of Defense,” Karwan said — the team is focused on lowering the number of those undesirable outcomes. After being largely ignored in prime time since returning in 1999, the Browns could be one of the most sought-after teams for night games in 2019. In developing the schedule, NFL assigns “penalty points” to outcomes such as three-game road trips, games between teams with disparate rest, and road trips following a Monday night road game. In their final proof of concept in 2017 before receiving the grant, Karwan and Steever took the 2016 schedule and lowered the penalty total by 20 percent. What is the approach? It’s, in a word, complicated. Karwan and Steever suggest viewing each NFL schedule possibility as a grain of sand. Even for a powerful computer, the beach is too big to look at every grain. So the challenge is to narrow down the possibilities in a way that prompts the NFL’s computers to find better possibilities “in smarter areas of the beach,” Steever said. The first step is based in both math and reality. Before creating the schedule, the NFL identifies a small number of games — usually between 40 and 50 — to lock in. The league refers to this as “seeding.” It helps accommodate expectations from television partners for key games in certain time slots, as well as about 200 annual requests from owners who prefer their stadiums not be used in a given week because of concerts, baseball games, marathons and other potential complications. That step is also crucial for the math, however. Establishing one game — which also means assigning a week, a time slot, a network and a stadium — eliminates many multiples of schedule possibilities. At that point, the NFL asks its computers to run schedule simulations until it finds one that has an acceptable penalty total. Usually that means juggling the 40 to 50 pre-seeded games. Karwan and Steever believe the key to improving the schedule is to better choose those pre-seeded games, allowing the computer to see stronger schedules that would otherwise be blocked by the initial choices through a process known as integer programming. Mathematically, they believe, there are ways to identify games that will minimize the elimination of good schedules. A smarter mix of obvious major matchups with others that are friendlier to the math would, in theory, reduce the penalty totals and thus minimize the disparities in the schedule. Even if all goes well in the coming years, only the most ardent schedule analysis will reveal the hoped-for improvements. But there are plenty of ancillary advantages from a broader sense, Steever explained. If you’re motivated enough, you will never fail to identify slights against your team — real or perceived — when the NFL schedule is released. But in the coming years, you might have to work a little harder to find them. Veteran tight end Benjamin Watson, who intended to retire after last season, is now considering a return to the NFL for a 16th season, league sources told ESPN’s Adam Schefter on Saturday. Watson, whose wife is due to give birth to twins next week, might be open to returning to the NFL under the right situation, the sources said. The 38-year-old Watson, whose contract with the New Orleans Saints expired after the 2018 season, ranks 14th among tight ends in NFL history with 530 career receptions. Watson has amassed 5,885 yards and 44 touchdown catches. He previously said that 2018 would be his final season in the NFL. A first-round pick of New England in 2004, the two-time finalist for the league’s Walter Payton Man of the Year award has also played for the Browns and Ravens. 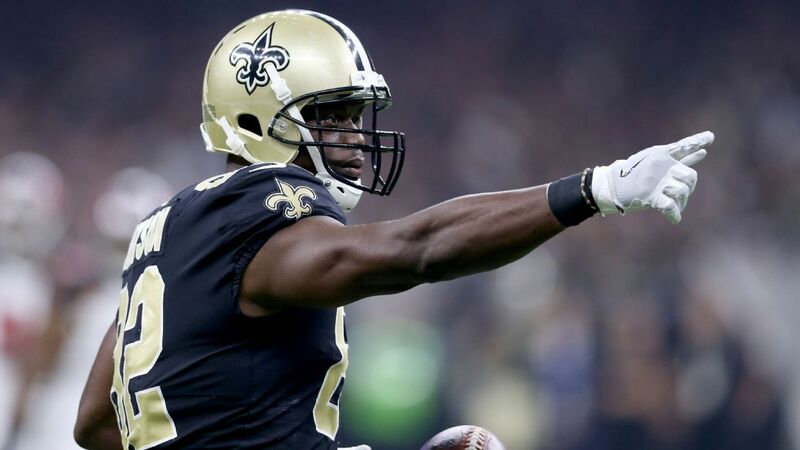 Watson played in every game for the Saints last season, catching 35 passes for 400 yards and two touchdowns. It was his second stint with the Saints. INDIANAPOLIS — An upright piano that John Lennon used to write Beatles’ songs has been sold at auction to Jim Irsay. Just “A Day in the Life” of the owner of the Indianapolis Colts. 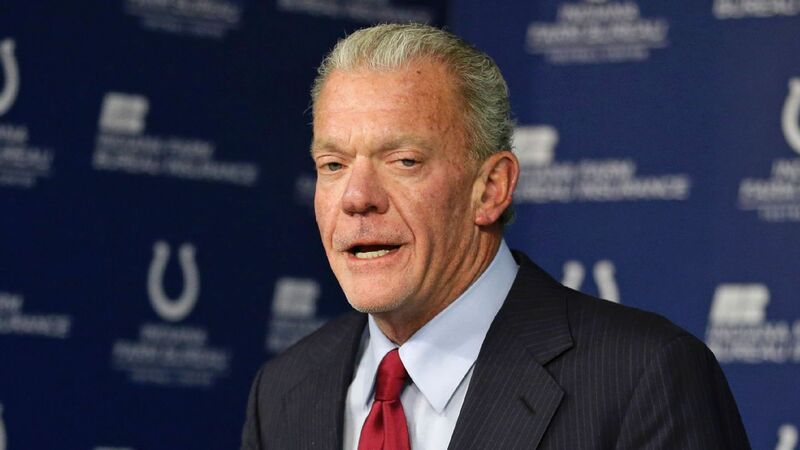 Irsay tweeted Saturday that he’s “elated” to now own the instrument Lennon used to compose songs for The Beatles’ “Sgt. Pepper’s Lonely Hearts Club Band” album. The Indianapolis Star reports the piano, made in the 1870s, was auctioned on the site GottaHaveRockandRoll.com, with a minimum required bid of $575,000. The site estimated it would sell for between $800,000 and $1.2 million. As of Saturday afternoon, the final price tag had not yet been announced. The Star reports Irsay previously bought guitars once owned by music legends Jerry Garcia, Prince and Bob Dylan. The Seattle Seahawks are still considering trading defensive end Frank Clark, a league source told ESPN’s Adam Schefter on Saturday. In return, the Seahawks would want any package to include at least a first-round pick in next week’s NFL draft, the source said. Clark, who has yet to sign his $17.128 million franchise tag, has been the subject of trade rumors. He led the Seahawks with 13 sacks and also had four forced fumbles and an interception last season, and he added another sack in a wild-card playoff loss to the Dallas Cowboys. Earlier this week, Seahawks general manager John Schneider said trade rumors are common this time of year, but he didn’t shoot down any involving Clark, who turns 26 in June. “He’s a franchised player. We love Frank,” Schneider said. “He’s an incredibly effective pass-rusher and we love him. … When you’re getting close to the trade deadline and you get close to the draft, it’s like major speculation, a ton of drama, all the news outlets and everything. I get it. It’s what we’re doing, it’s entertainment. ESPN’s Brady Henderson contributed to this report.